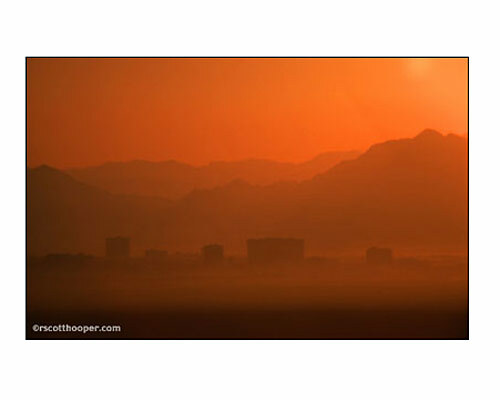 How the Las Vegas skyline has changed since 1972! It is hard to imagine the Las Vegas strip was limited to these few hotels in 1972. Just to get your bearings, the largest building is the Las Vegas Hilton and the one furthest to the left is the Mint Hotel downtown. This view of the strip could not even be taken today because there are houses and shopping centers on this spot today. Aaaah, what have they done to my town?